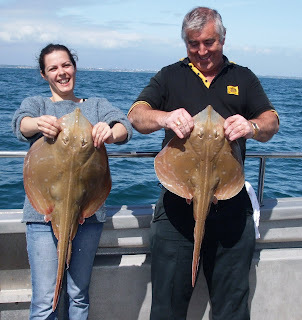 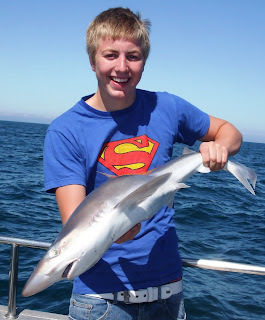 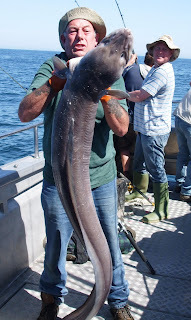 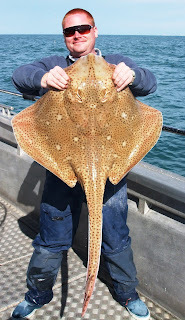 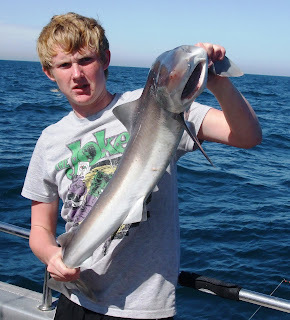 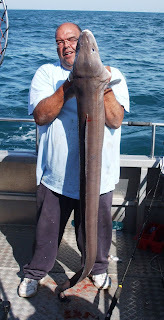 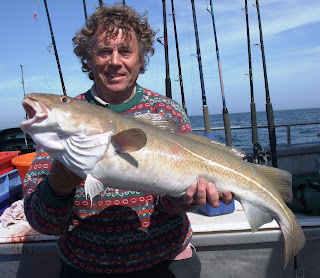 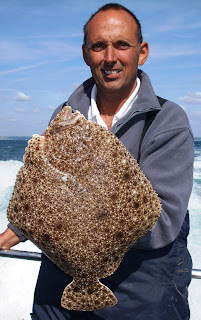 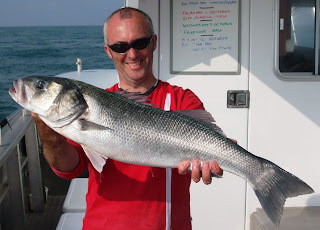 The banks fish has been excellent in September when the "Indian Summer" has allowed us to get offshore. 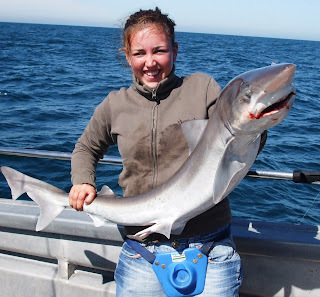 Take that photo quickly before this thing bites me! 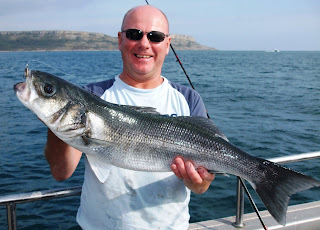 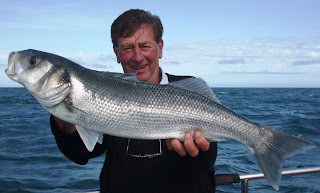 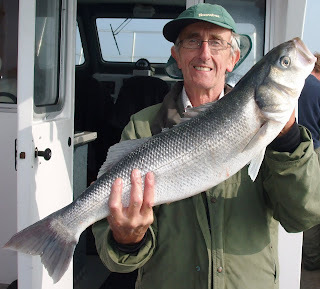 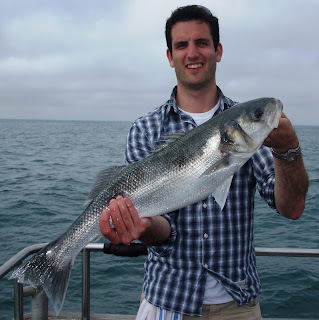 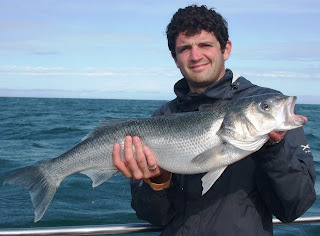 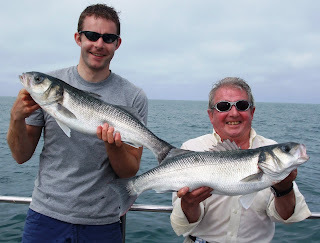 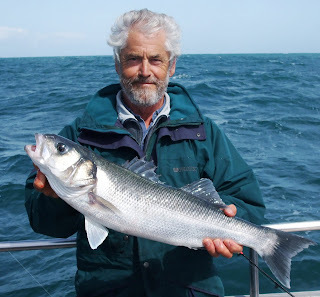 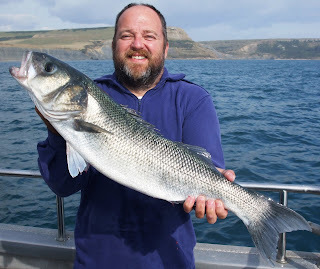 The bass fishing on the offshore banks has been excellent on the last spring tides. 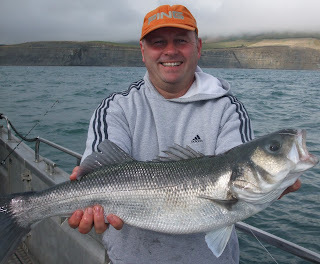 Plenty of hard fighting bass falling to live mackerel and shads. 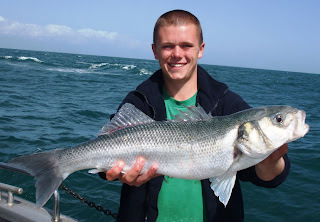 Still some nice fish mid channel if we can get out there!